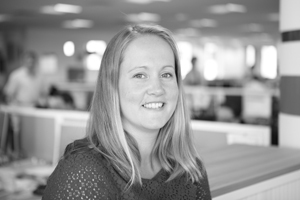 Accounts Manager with a strong interest in contaminated land remediation; a problem solver. I always liked physical geography at school (a broad range of topics from Rivers to volcanoes) so I did a degree in Geology, and Contaminated Land Risk Assessment followed on from there. I was born and grew up in Chilwell which is to the south west of Nottingham. I did my GSCE's and A-Levels then I packed my bags and headed up to Leeds University to Study Geology for 3 years. After achieving a 2i degree I went on to study for a Masters in Geochemistry (the hardest year of my life, but I came out with a distinction in the end!). Towards the end of my Masters I was looking for potential career options. I'd done a Contaminated Land module and found it really interesting so I decided this would be my next step. It tuned out one of my Lecturers had a Wife who was in this line of business and she worked for a company called BWB based in Nottingham. Sounded perfect! So I sent off my CV, and after 3 gruelling interviews I was eventually offered a position as a Graduate Environmental Consultant in the Environmental Team - Top Floor, Kayes Walk. That was 11 years ago! Since then I have worked my up through the roles, always having a strong focus on technical development and environmental risk assessment skills which naturally followed on to involvement in numerous remediation projects throughout my career to date. During that time I've also had a few months off here and there to have my children Lily and James; and after having my second child I decided to come back to work on a part time basis so that I could spend more time at home. The children are now a little older and I was keen to develop my career, particularly after taking part in the inaugural BWB Academy course, which was a fantastic experience. So when the opportunity arose to apply for a Principal role I increased my hours to suite and was successful in my application for the job. I'm really enjoying my new role, although the learning curve has been steep! And I still have a good work life balance. I really enjoyed the GE Lighting project in Enfield, which I was heavily involved with during 2008 and 2009. We took the site from pre-acquisition (negotiating a great price chip for the Client! ), through investigation phases, remediation and validation. We achieved a successful regulatory sign off of the site for a price considerably less than the price chip (i.e. the Client wins!) and I was strongly involved in the project management, technical input and regulatory negotiations for this project. I spend the majority of my spare time with my children, playing and spending time outdoors; we can often be found hiking round Wollaton Park and similar locations - of course there is also the homework, afterschool activities, argument mediation etc.! I also enjoy reading when I have spare minute or two, and regularly play badminton. I don't have a 5 year plan at the moment but as long as my family is healthy and happy, that's the main points covered.